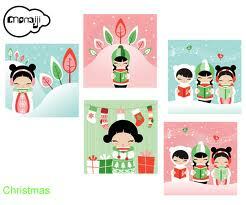 Each pack of these cute Momiji Christmassy cards contains 10 cards. There are 2 each of 5 different designs. 42p from the sale of each pack of cards goes to the charity Medecins Sans Frontieres which is an independent humanitarian medical aid organisation. By purchasing a pack of cards you are helping the charity raise much needed funds.